Last year Marc Marquez won at Brno by a margin of 12.438 seconds from team-mate Dani Pedrosa. This is the largest margin of victory by Marquez in the MotoGP class. At the Czech Grand Prix Marc Marquez is scheduled to make his 100th Grand Prix start in the MotoGP class. At the age of just 25 years and 169 days Marquez is the second youngest ever rider to reach the milestone of 100 starts in the premier-class. The only rider to reach this milestone at a younger age is John Hopkins who was 24 years 348 days old when he made his 100th premier-class start at the Chinese GP in 2008. Pol Espargaro’s ninth place finish last year at Brno was the first top ten finish in the MotoGP class for KTM. The two riders with most grand prix victories at the current Brno circuit, each with seven wins, are Max Biaggi (4 x 250cc, 2 x 500cc, 1 x MotoGP) and Valentino Rossi (1x 125cc, 1 x 250cc, 1 x 500cc, 4 x MotoGP). Valentino Rossi is the only rider to win the MotoGP race at Brno in successive years – in 2008 and 2009. The best result for a Czech rider in the MotoGP class at Brno is 9th for Karel Abraham in 2012 riding a Ducati. When Valentino Rossi lines up on the grid at Brno it will be the 23rd successive year that he will have started in a grand prix race at Brno, and will be just the second circuit, along with Jerez, he will have raced in every year of his grand prix career. The other three circuits that have appeared on the grand prix schedule every year whilst Rossi has been racing (Mugello, Catalunya and Assen) were all circuits he did not start following his accident in practice for the Italian Grand Prix in 2010. Cal Crutchlow’s win at Brno in 2016 was the first victory in the premier-class by a British rider for thirty-five years since Barry Sheene riding a Yamaha in the 500cc Swedish Grand Prix at Anderstorp on 16th August 1981. This year’s Czech Grand Prix will be the 49th to be held at Brno. 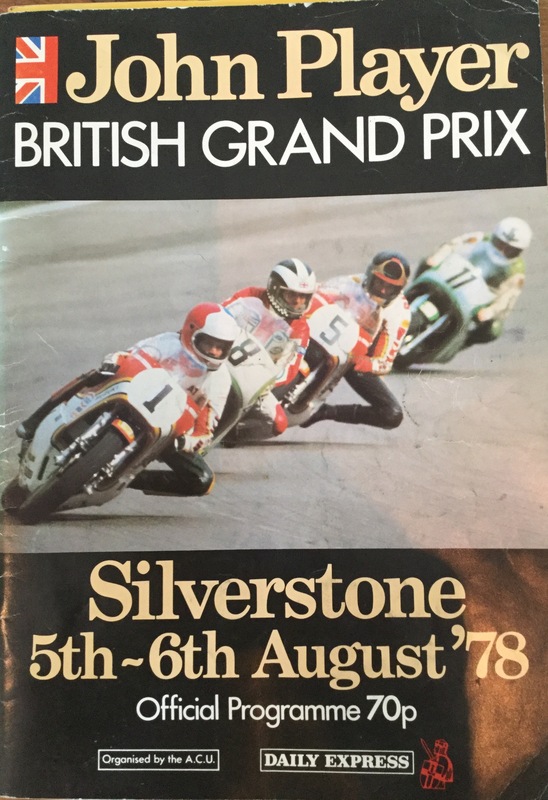 The only venue that has hosted more grand prix events than Brno is Assen in The Netherlands, which has hosted the Dutch TT in each of the 70 years of the motorcycling world championship. The first Czechoslovakian Grand Prix was held at Brno in 1965. The 500cc race, held over thirteen laps of the original 13.94 km long road circuit, was won by Mike Hailwood (MV Agusta) in a time of 1hr 11 min 23.2 sec. The circuit was shortened to 10.92 km in 1975 in an effort to improve safety. The last premier-class race held on the road circuit at Brno was in 1977 and was won by Johnny Cecotto riding a Yamaha. The circuit was subsequently considered too dangerous for the large capacity machines. The smaller capacity machines continued to compete in grand prix races on the Brno road circuit until 1982 before it was removed from the grand prix calendar for safety reasons. The current circuit was first used for grand prix racing in 1987 and hosted the Czechoslovakian GP through until 1991. Brno did not appear on the calendar for 1992, but the event was revived in 1993 as the Grand Prix of the Czech Republic and has taken place every year since. This will be the 31st time that the current circuit has hosted a grand prix event, during which time the circuit has remained virtually unchanged; minor modifications were made to the circuit in 1996 which extended the length from 5.394 km to the current 5.403 km. Since the introduction of the four-stroke MotoGP class in 2002 Honda have been the most successful manufacturer with eight victories, including the last two years with Cal Crutchlow in 2016 and Marc Marquez last year. Yamaha have taken six MotoGP victories at Brno, but only one in the last seven years, which was with Jorge Lorenzo in 2015. Ducati have twice won the MotoGP race at Brno, with Loris Capirossi in 2006 and Casey Stoner in 2007. The last podium for a Ducati rider at Brno was when Stoner finished third in 2010. The last win for Suzuki at Brno was in the 500cc class in 1989 with Kevin Schwantz. Loris Capirossi was the last rider to finish on the podium at Brno riding a Suzuki – 3rd in 2008. There has only been one podium finish by a Czech rider at the current Brno circuit across all classes – Lukas Pesek’s third place in the 125cc race in 2007 riding a Derbi. The eight Moto2 races that have taken place at Brno have been won by eight different riders: 2010 – Toni Elias, 2011 – Andrea Iannone, 2012 – Marc Marquez, 2013 – Mika Kallio, 2014 – Tito Rabat, 2015 – Johann Zarco, 2016 – Jonas Folger, 2017 – Tom Luthi. None of these riders are now competing in the Moto2 class. Six different riders have won the six Moto3 races that have taken place at Brno: 2012 -Jonas Folger, 2013 – Luis Salom, 2014 – Alexis Masbou, 2015 – Niccolo Antonelli, 2016 – John McPhee, 2017 – Joan Mir. The MotoGP podium at the Dutch TT had the youngest average age since the Dutch TT two years earlier when Jack Miller won from Marc Marquez and Scott Redding. The podium at the Dutch TT: Marquez (Honda), Rins (Suzuki) and Vinales (Yamaha) was the first all-Spanish podium in the premier-class with the three riders on bikes from three different manufacturers. With Andrea Dovizioso finishing fourth at the Dutch TT on a Ducati, it was the third time in MotoGP this year that four different manufacturers had filled the top four places. Dani Pedrosa, the 15th place finisher at the Dutch TT, crossed the line just 16.043 seconds behind race winner Marc Marquez. This is a new record for the closest top 15 finishers in a premier-class grand prix, taking the record from the opening race of this year in Qatar when 23.287 second covered the first 15 riders across the line. With four different manufacturers filling the top four places at the Dutch TT and Pol Espargaro taking the first KTM across the line in 13th place just one place ahead of his brother Aleix on the first Aprilia home, there were six different manufacturers covered by less than sixteen seconds. Never before in the previous 865 premier-class grand prix races in the 70 year history of the world championship series have six manufacturers finished within 16 seconds of the winner. The rider with most victories at the new Sachsenring circuit is Marc Marquez with eight wins (1 x 125cc, 2 x Moto2, 5 x MotoGP), followed by Repsol Honda team-mate Dani Pedrosa with six wins (2x 250cc, 4 x MotoGP). In each of the last eight years at the Sachsenring Marc Marquez has qualified on pole and won the race; 2010 in the 125cc class, 2011 & 2012 in Moto2 and for the last four years in MotoGP. Sachsenring is the only circuit on the 2017 schedule where Honda have won in the MotoGP class for each of the last eight years – three wins by Dani Pedrosa followed by five wins for Marc Marquez. Valentino Rossi was the last non-Honda rider to win at the Sachsenring – in 2009 on a Yamaha. With Danilo Petrucci crashing out at Assen, the only rider who has scored points at MotoGP all races so far in 2018 is Maverick Vinales who has scored points at the last 18 races. Yamaha have gone 18 MotoGP races without a win, since the Dutch TT last year. This is equals their longest winless sequence in the MotoGP era that included the last two races of 2002 and the 16 races of 2003. The last time Yamaha went more than 18 races without a premier-class win was when Honda set a record 22 race winning streak which included all of the 15 races of 1997 plus the first 7 races of 1998. This streak was ended with a win by Simon Crafar on a Yamaha at Donington. The second place finish by Alex Rins at the Dutch TT is the best result for a Suzuki rider since Maverick Vinales won at Silverstone in 2016. All three races at the last two events have been won by the rider starting from pole position. This six race streak of winners from pole is the longest since 2010, when there was also a six race winning streak from pole. The last time that a more than six successive GP races have been won from pole was in 1991; the 500cc race in Japan, all three races in Australia the two races at Laguna Seca and first two races at Jerez. The first motorcycle Grand Prix to be held in Germany was the West German Grand Prix held at the Solitude circuit in 1952, when it was reported that 400,000 spectators turned up to watch. Ireland’s Reg Armstrong won the 350cc and 500cc races riding Nortons. The home crowd had plenty to cheer, with Rudi Felgenheier winning the 250cc race on a DKW and Werner Haas winning the 125cc race on a NSU. The first East German Grand Prix was held at the Sachsenring road circuit in 1961. The original circuit used for this event was a closed road circuit 8.73km in length. The East German GP continued to be held at the Sachsenring each year until 1972, after which the original road circuit was considered too dangerous for Grand Prix racing. The West German Grand Prix was held every year from 1952 through to 1990, when East and West joined to become a unified Germany. Four different circuits were used during this period 1952 to 1990: Solitude, Schotten, Nurburgring and Hockenheim. There has been a German Grand Prix held every year since unification; from 1991 to 1994 at the Hockenheim circuit, followed by three years at the Nurburgring and since 1998 at the new Sachsenring circuit. In addition to those mentioned above, one other Grand Prix event has been held in Germany: The Baden-Wurtemberg GP held in 1986 at the Hockenheim circuit for just the 80cc and 125cc classes. The newly built Sachsenring circuit was initially just 3.508km long when first opened in 1998, with one short section of track from the old road circuit. Major modifications to the circuit in 2001 and then additional slight alterations in 2003 resulted in the current 3.671 km track layout. The Sachsenring is one of just five circuits on the current grand prix schedule that run in an anti-clockwise direction, along with Austin, Aragon, Phillip Island and Valencia. This will be the 21st successive year that a grand prix event has been held at the new Sachsenring circuit. Since Grand Prix racing returned to the Sachsenring circuit in 1998 there have been seven podium finishes by home riders: Ralf Waldmann was third in the 250cc race in 1999, Steve Jenkner was third in the 125cc race in 2002, Stefan Bradl finished second in the 125cc category in 2008, Sandro Cortese finished third in the 125cc race in 2010, Stefan Bradl was second in 2011 in Moto2, in 2012 Sandro Cortese won the Moto3 race; Jonas Folger was 2nd in the Moto2 race in 2016 and 2nd in the MotoGP race last year. Since the introduction of the four-stroke MotoGP class in 2002, Honda have been the most successful manufacturer at the Sachsenring with twelve wins, including the last eight years. Yamaha have had three wins at this circuit, the last of which was with Valentino Rossi in 2009, which was also the last MotoGP win in Germany by a non-Honda rider. Ducati’s single MotoGP victory in Germany was with Casey Stoner in 2008. Andrea Doviziosos’s third place finish two years ago is the only podium for a Ducati rider at the Sachsenring circuit since Casey Stoner was third in 2010. Honda riders have also qualified on pole for the German GP for the last seven years; the last non-Honda rider to start from pole for a MotoGP race at the Sachsenring was Jorge Lorenzo in 2010 on a Yamaha. The only podium finish for Suzuki in Germany in the MotoGP era is when Chris Vermeulen finished third in 2008. The eight Moto2 races at the Sachsenring have been won by seven different riders: Toni Elias (2010), Marc Marquez (2011 & 2012), Jordi Torres (2013), Dominique Aegerter (2014), Xavier Simeon (2015), Johann Zarco (2016) and Franco Morbidelli (2017). All of these eight Moto2 wins have been from the front row of the grid. The six Moto3 races at the Sachsenring have been won by six different riders: Sandro Cortese, Alex Rins, Jack Miller, Danny Kent, Khairul Idham Pawi and Joan Mir. None of these rider still compete full-time in the Moto3 class. Dani Pedrosa finished the Dutch TT in 15th place, crossing the line just 16.043 seconds behind race winner Marc Marquez – the closest top fifteen of all-time in a full length premier-class grand prix. This breaks the record set at the opening race of 2018 in Qatar.